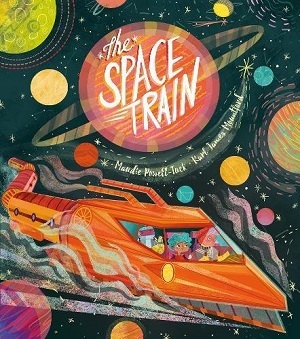 Another sterling month for children’s books – there aren’t enough weeks of the year to feature all the books of the week that I’d like. So here’s a roundup of some excellent early 2016 picture books. With illustrations that ooze charm. Do your children pore over You Choose or Just Imagine? 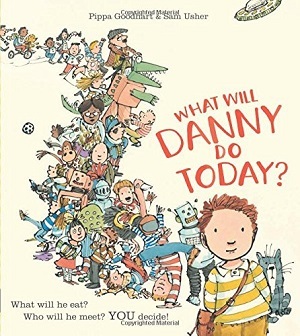 This wonderful new book from the same author allows the child to choose what Danny will do. It’s a normal day for Danny – he’s going to school, but the reader makes all those delicious decisions – everything from the small detail of what he should eat for breakfast to how he should travel to school. The questions in the text aren’t boring either – not ‘Will he have toast or cereal?’ but exquisitely worded – ‘Will he pick a crunchy, chewy or wobbly breakfast?’ and my favourite ‘Which book will Danny take to bed?’. There’s wonderful empathy at play, as when his Dad comes to pick Danny up from school, there are no questions, just a simple ask for the reader to spot him (clue: he’s wearing a green jacket). It’s not too hard either – no worrying for Danny at the end of the school day. Of course the choices are led by the pictures – Sam Usher’s illustrations feel old-fashioned, soft and familiar. The faces of his people are full of expression, reminiscent of children drawn by Quentin Blake (such as Sophie in The BFG), but more and more distinctive to Sam Usher too (particularly his older people). But it’s the attention to detail that shows off Sam’s craft. Choosing what to wear from Danny’s overflowing wardrobe, or what to eat from the jam-packed kitchen, or how to get to school (you could even choose the penny-farthing or the UFO! – one child is using a zip-wire to reach school). The depiction of teachers in the staffroom (yes, you can even choose Danny’s teacher) is hilarious – I’m still undecided between Shakespeare, the monkey, or the young lady with the tower of books (is that me, Sam?). Simply hours of fun. This is one book I shan’t be giving away to any child. It’s all mine! Published this week, choose to buy it here. Another book, in which for me, the illustrations MAKE the book. Rabbit loves carrots, to the extent that (rather like a certain someone with books) they are taking over his burrow. He collects them wherever he goes. One day he realises he needs somewhere else to sleep –there is simply no room left in his burrow. Each of his friends is most welcoming – until he overloads their houses with carrots too, and inadvertently breaks them (bird’s nest is particularly susceptible). So rabbit has to learn his lesson – with a stick rather than a carrot. He discovers that rather than collecting carrots – sharing is the way to go. 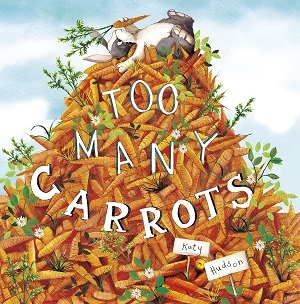 The depth of each illustration is marvellous – from the landscape of wild flowers behind rabbit’s carrot patch, to the mountain of his carrot collection to the terrible collapse from too many carrrots in beaver’s house. But it’s not just the detail and scope of each carrot horde in each setting – but the wonderful depiction of the animals and their reactions to events. The facial recognition of each emotion is there for the young reader – comfort, enjoyment, irritability, anger, discomfort, shame….it’s fabulous. Pay particular attention to the title page (complete with Keep Calm and Carrot On sign, a few carroty books, and rabbit’s own to do list). 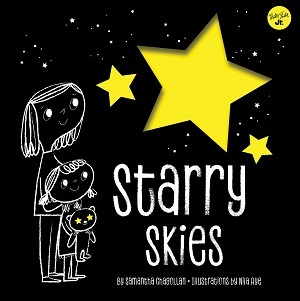 To teach sharing, to enjoy the artwork, or simply for a tight little story – this is a gem of a picture book. Buy your carrot (I mean book) here. 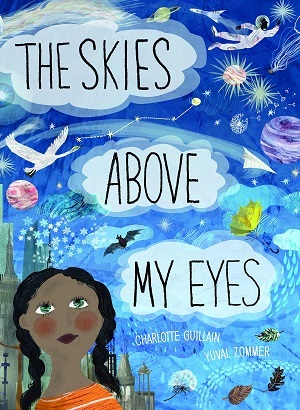 A fascinatingly feel-good title for young readers that carries two important messages without resorting to preaching. Little Why is a small elephant who is told by his parents to ‘keep in line’ on the way to the watering hole. This little toddler elephant is bursting with questions about the other animals he sees though, and strays more than once, only to find himself face to face with a hungry crocodile. He learns important messages about the merits of his own species (loving oneself) – the other animals may have appealing features such as “long lofty leggy legs” like the giraffe, or “speedy-spotty fuzzy fur” like the cheetah, but Little Why discovers he is perfect the way he is – with his “flippy-flappy ears, and super-squirty trunk”. He also learns not to run off from his parents, for although there is a ferocious snappy crocodile on the loose, if his parents are near, then he can be swiped out of reach. 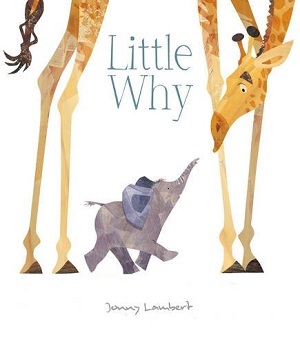 Jonny Lambert is a master of colour, pushing the boundaries with his use of white space around the images, and superbly giving context and texture to his grey elephants with strokes and lines – repeated in the other animals, but drafted to perfection on the elephants, who otherwise would be dull grey. Lambert uses the animals’ body language to convey as much emotion as their facial features – the trunk is a giveaway symbol for Little Why, but also the shape and angle of the birds throughout. 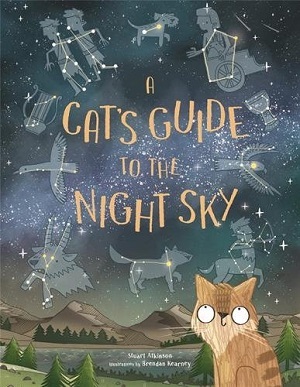 It’s a touching little picture book, and could easily become a household favourite. You can buy it here. Can Adam and Charlotte do no wrong? I seem to be writing their names frequently in my recommendation lists. This is a small gamble, as readers of my generation have a special place in our hearts for gremlins (we know not to feed them after midnight, and never to get them wet), but will the next generation (the intended readership) be equally charmed? 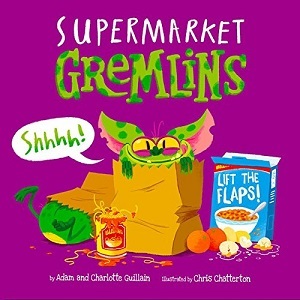 Supermarket Gremlins is a lift-the-flap book with the cute variety of gremlins invading the shelves, and trolleys, and eventually the shopping bags so that they can come home with you. The beauty of the book is the mum’s complete obliviousness to their presence – it is the boy who notices their mayhem and mischievousness (and the reader by lifting the flap on the pictures). From submerging themselves in water in the cleaning bucket (the gremlin blows his cheeks out with endearing cuteness) to the naughty gremlins emptying out packets of cereal, burping in the cheese, eating all the chocolate spread (wait, are they gremlins or children!). It’s a really fun title, with rhyming text, such as things you’ve “forgotten”, matching with finding a “gremlin’s bottom” – the Guillains have nailed this one. Chris Chatterton’s illustrations are slightly retro in feel – an old style supermarket with piles of tins, and a house at the end with a tyre swinging from a tree. But the main fun of course is finding all the gremlins – and the publishers have really gone to town here – there are numerous flaps on each page, varying in size, with lots of funny pictures hiding behind. 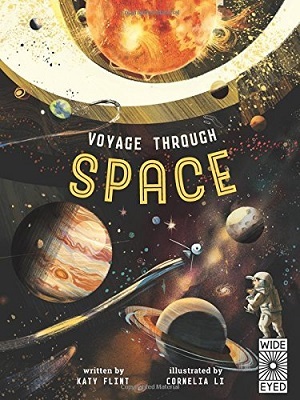 Hugely enjoyable, the illustrations are both mischievous and compelling – just like children. Feed yours before midnight here. My next couple of blogposts feature my selection of Christmas books: firstly four books for the youngest readers. Another four follow on Wednesday. Sometimes the simplest titles are the best. Jane Chapman has a wonderfully sympathetic drawing style when tackling bears, and this depiction of an over-excited cub and his weary parent is no exception. Produced this year in a padded board book for the smallest child with an enticing glittery cover – even if it goes in the toddler’s mouth, it shouldn’t get too damaged! It depicts the bears’ preparation for Christmas Day – wrapping presents and finding a tree, although the cub has a little more enthusiasm than the parent. 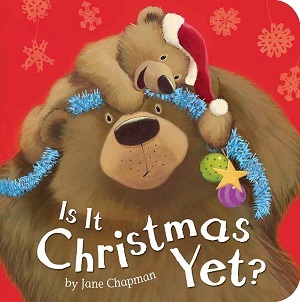 The illustrations caused this book to end up in my list of Christmas picks – the cub’s playfulness is irresistible, while the parent bear goes through all the emotions that parents do in the run up to make a perfect Christmas – from growling to sighing to mumbling to huffing and moaning. But in the end, Christmas arrives, and it looks fairly perfect to me. You can purchase it here. There’s always room on my bookshelves for another ‘George’ picture book. 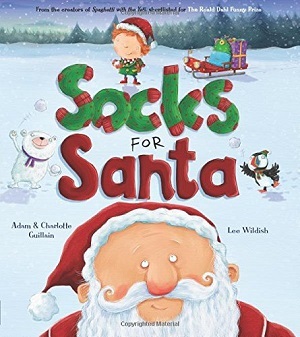 After the success of Spaghetti with the Yeti, Marshmallows for Martians and the other titles in the series, I was excited to hear there would be Socks for Santa. It didn’t disappoint. In fact, I think it’s one of the best. Generous and thoughtful George decides to take Santa some presents at Christmas in return for him giving them out every year. However, there are of course some hitches along the way – the elves need help with wrapping, Rudolph has a cold, and the reindeers open Santa’s presents. The rhyming text skips happily along telling the story, but the true delight of this title lies in Wildish’s illustrations. From puffins sliding on ice and pulling a sleigh to the wonderful snowball fight with bears to my favourite of all – the reindeer playing connect four. There is so much detail and glee in all the illustrations, that no child could be unhappy opening this under the tree. Wholeheartedly recommended – and illustrations I want for my illustrators’ wall! Click here to buy. This is one busy hedgehog. 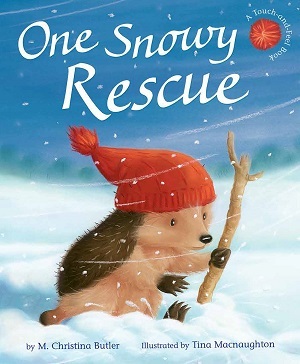 The ninth little hedgehog book won me over with the furry red hat. (Yes, I’m that easy!). Advertised on the front as a touch and feel book, the reader can trace their fingers over the felt red hat on every page. It’s quite alluring. Little Hedgehog finds it difficult to navigate the snow, and relies on his friends to pull him out of various hitches, including a snow drift and some icy water. Each time his bright red hat signals to his friends that he is in danger, and he is rescued. However, the whole point of his trek through the snow is to rescue someone even smaller than him, which he succeeds in doing in the end. 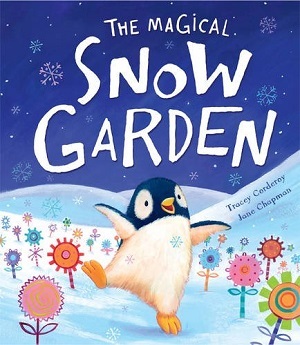 It’s a lovely little tale for small children – about helping each other, in a lovingly drawn winter landscape. You can buy it here from Waterstones. Once all the sweet wrappers have been shaped and twisted, the garden looks fabulous, but then overnight the magical snow garden is blown away by a nasty storm wind. This time his friends help him to recreate the garden, and it is so magical that creatures come from all over the world to see it. This completely fantastical story is drawn beautifully by Jane Chapman – glitter on the cover of course, but a garden reminiscent of Willy Wonka’s chocolate factory, with fountains and flowers and cuckoos – all made from wrappers. A reference to recycling – or just a clever way to add colour to the snow – either way, it makes for a fine addition to the ‘snow’ picture book flurry. Purchase here from Waterstones. What do you want to be when you grow up? It’s a question children ask themselves a great deal – I discussed it with some Year 1s recently. Many of them wanted to be teachers (they must have great role models), and none wanted to be librarians. (I am working on this!) Some wanted to be pirates. Although I don’t condone criminal behaviour, it was an opportunity to discuss what sort of person could be a pirate, which skills they would need, and most importantly what would pirates wear, and eat? An old favourite of ours – even as an eight month old baby one of our children knew when the ‘roar’ was coming in the text. 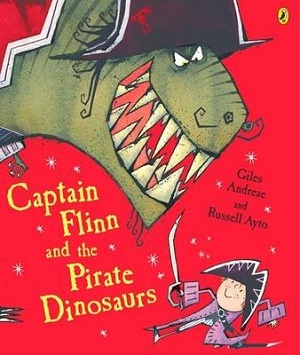 Flinn is an ordinary boy who falls into a world of dinosaurs and pirates through his school art cupboard. He takes his friends with him, and before long they are fighting on behalf of Captain Stubble to rescue his beloved ship from the roaring Pirate Dinosaurs. The humour that infuses this text makes it loveable and readable – from the cowardice of Captain Stubble to the references to dinosaurs liking tomato ketchup and a dual which lasts for precisely two hours and twenty-five minutes, exhausting the T-Rex. It is a flowing adventure story packed neatly into a picture book with phenomenally rendered illustrations of pirate ships, ferocious dinosaurs, and on the final pages, a typical school room with the gentle Miss Pie. A great mix of content that children of this age devour. You can buy it here or on the Amazon sidebar. Can anyone be a pirate? 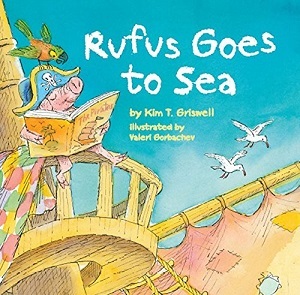 Rufus, a young book-loving pig, inspired by adventure stories he reads, decides to be a pirate for his summer holiday. The stereotypical pirates on board the ship, including Captain Wibblyshins with his wooden leg, and First Mate Scratchwhiskers with his eye patch, have their doubts that a pig has the right skillset to be a pirate. Finally Rufus demonstrates his one very useful skill – the ability to read – not only books but treasure maps – and is accepted on board. Packed with pirate references from yardarms to crow’s nests, Jolly Rogers to quarter decks, this will not only invigorate your child’s seafaring vocabulary, but endear them to a little pink pig who is ruthless in pursuit of his own destiny. Perseverance and reading pay off! There’s a lovely twist at the end too – the treasure it not quite what you’d expect. A lovely little story from the US. Look out too for the very colourful, detailed illustrations. Buy it here from Waterstones, or click through to Amazon. you don’t need a patch or sword. The illustrations are touchingly sentimental – two young friends or siblings sharing a bedroom, decorated with pirate paraphernalia – even the teddy has an eye patch. 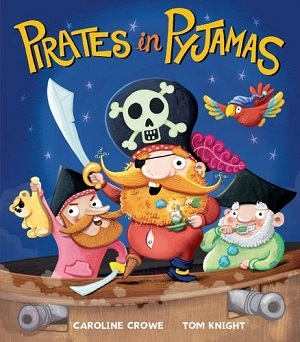 The pirates come in all shapes and sizes – bearded, thin, fat, large and small, pale, dark, exotic, and with different facial expressions too – a source of wonder and excitement for little readers. It’s colourful and fun. This book publishes in mid August 2015. You can buy it here. Lastly, what pirates eat! Part of the ongoing picture book series about George, including Spaghetti with the Yeti and Marshmallows for Martians, the authors continue their foody adventures. George sets off armed with a pizza to win over a pirate crew. He takes some time to find the crew, firstly being swallowed by a whale, whose stomach contents suggest that it too has had dalliance with pirates, and then landing on an island. 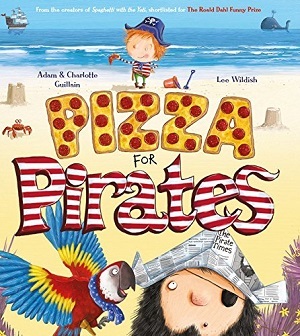 Along with a helpful parrot, George finally finds his pirate crew, digs up some treasure, and saves them from a sea monster (with the assistance of his now soggy pizza). Also, as above, using a bed to represent a boat, the authors have used home props to make the adventure familiar. George’s bedroom also has a teddy with an eye patch, pirate dress up props and some themed lamps and curtains. There is no end to the brightness here – mermaids, fish, cartoon crabs and starfish, and an ending that looks like the most terrific pool party. Lots to look at, I can imagine this being a firm bedtime favourite. You can buy it here or on the Amazon sidebar. As I recently pointed out, much of our ‘pirate’ cultural heritage stems from Treasure Island. Stevenson’s inspiration for the story was a map drawn by a child, and ever since there have been a plethora of fictional references to treasure maps, x marking the spot, and dastardly pirates, all descended from the ever-lasting Long John Silver and his search for treasure. (Note: Robert Louis Stevenson first called the story The Sea Cook – one has to wonder if the story would have endured in the same way with this flat alternative title). I love that dragon books tend to have protagonists called George, seeing as they are following the old legends of George and the Dragon. This George decides to go in search of a dragon. To do this he builds himself a time machine and packs lots of snacks, including doughnuts. On his way to meet the dragon he bumps into all sorts of strange and horrid creatures, such as a witch, and an ogre, but pacifies them all with tasty treats. When he finally meets the dragon, he discovers that it’s not as ferocious as he thought, and together with a lonely princess they feast on doughnuts. The text rhymes well, and the illustrations are fantastically fun – right from the opening pages in George’s bedroom with its puns on modern culture, and the characters depicted cheerfully and colourfully. The language is great, from the very incidental time machine, to the whooshing, click clacking and squeaking. There are others in the series, including Pizza for Pirates, Spaghetti with the Yeti, and my personal favourite, Marshmallows for Martians. You can purchase it here or see the Amazon sidebar. 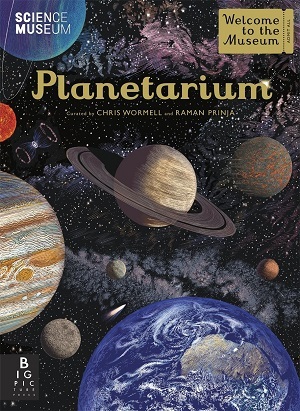 Admitting a slight bias here, as Chris Wormell kindly opened my school library and did some amazing illustrations for our walls, but I loved this book before I met him. It’s a subversive take on the typical legend, and shows great humour. George here is a mouse, not a knight, although this is only revealed halfway through the story. Before this, we have magnificent illustrations and fierce text on how powerful and mighty the dragon is, although he has a secret. He is scared of mice. When our unknowing hero George moves into the cave next door to the dragon, he inadvertently rescues the princess, and is rewarded with a fine meal and a new home. The illustrations are dramatic and vivid, and drawn to incredible detail. Chris Wormell is the illustrator of the cover for the 2014 Samuel Johnson winner H is for Hawk by Helen Macdonald– his illustrations are truly a cut above. You can purchase it here or see the Amazon sidebar. ask it if it thinks that this story is true. It’s not subtle, and it’s not a picture book for pre-schoolers, but occasionally it’s good to hear to get a message across directly. You can purchase it here or see the Amazon sidebar. 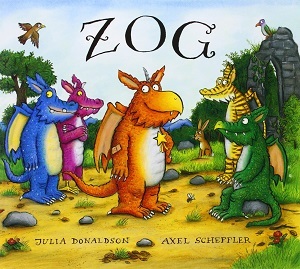 I can’t not feature Zog in my list – this quintessential book all about dragons at a dragon school and the various lessons they undertake each year from learning to fly to blowing fire and capturing princesses, but it did feature heavily in my Brave Girls feature a week ago, so click the link to read more about it. Sadly, it appears to be out of print. I suggest borrowing from a library or seeking second hand through online retailers. “I’ve been shouting for help for days,” the dragon cried. The illustrations are so tender and heart-warming, so bright and colourful, that no child can be scared or upset reading this book. It teaches that you don’t have to be afraid of something that is ‘other’, as the unfamiliar can always look scary until you know what it is. It also implies that it can be good to be brave. It’s a happy ending. Sadly not available everywhere, but you can buy it from online marketplaces or borrow from your local library. This too, I’ve written about before, as it exemplifies our fear of the dark and also, like That Pesky Dragon, our fears about what’s unknown or unfamiliar. Click here to read my review of it, in terms of books about the dark. 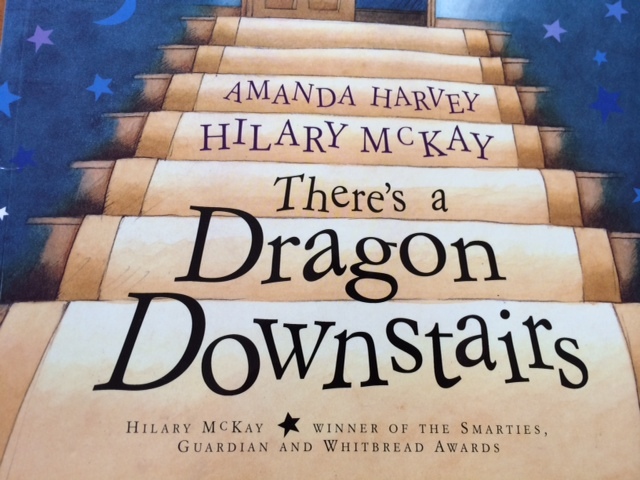 I’ll also admit that it’s slightly cheating, because as you’ll discover – there’s really no dragon in this book at all! A feminist tale about a smart princess who outwits a dragon and then decides that she won’t marry her prince because he wants an archetypal fairy tale princess, and she is certainly not one of those. In a fairy tale twist, an extremely powerful and dangerous dragon comes along and destroys the princess’s castle and captures the prince. It is left up to the princess to rescue him, but the dragon has burnt all her possessions so the only thing she can wear is a paper bag. She follows the dragon to his lair, outwits him and sets the prince free. The last page sees her skipping off into the sunset on her own, but happy. There are some faults with this text, but kudos must be given for a feminist tale published as long ago as 1980 and still in print. You can purchase it here or see the Amazon sidebar. Just for fun, learn how to draw a dragon with children’s illustrator Emily Gravett here or how to make a dragon (out of paper!) with Lydia Monks here.